Want to discover Paris in a different way that makes a change from crowded famous museums and monuments? Our team has selected some unusual and rather different museums that will appeal to both young and old, and to museum lovers and those allergic to culture. Here is a small selection of our favourites. Museums are places that can often produce powerful emotions. That's certainly the case with the Musée des Arts Forains. Once you pass through the door, you're immersed in a giant carnival from the past. Sideshows, automated figures, rides, painted wooden carousel horses are all part of a colourful and dazzling whirlwind. Equally fascinating, the Magic Museum unveils a host of props and tricks that chart the history of magic and illusion. A not-to-be-missed show. And for museum fans looking for thrills, just visit the Museum of the Prefecture of Police where you'll see testimonies relating to the greatest investigations since Henry IV! Unusual museums cater to all our senses! Just a stone's throw from the Palais Garnier, the Fragonard Perfume Museum takes you on an olfactory journey through the fascinating world of fragrance. Or, visit Choco-Story, where everyone can rediscover their love of chocolate. It really is an extraordinary experience. Museums of lighting, fans, arts and crafts, all reflect a bygone era that encapsulates the atmosphere of Paris a few centuries ago. 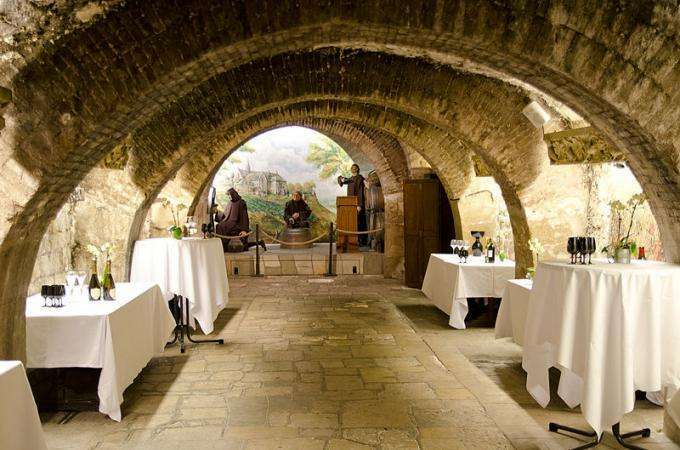 Finally, wine enthusiasts won't want to miss the Wine Museum, or the Caves du Louvre with its exciting interactive tours. It's almost impossible to be bored in Paris. If you're short of ideas for things to do during your stay in the capital, do ask members of the Hotel Vice Versa team. They will be happy to share the addresses and details of some of the best unusual museums.